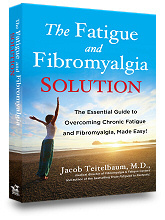 We're pleased to announce that The Fatigue and Fibromyalgia Solution is now available — having debuted as the #1 bestseller on Amazon.com in the CFS and fibromyalgia book category! The Fatigue and Fibromyalgia Solution (Avery, August 2013, Paperback Original & Ebook) provides a solid, yet really short and easy to read foundation for those with fibromyalgia or even day to day fatigue. For those who have read From Fatigued to Fantastic!, it also offers the latest research and clinical advances in treating chronic fatigue syndrome, fibromyalgia, and the baffling, often dismissed symptoms associated with these debilitating conditions. Filled with the most up to date information on why many of us experience an energy crisis, the best strategies for using medications and nutritional supplements, and recommendations for therapies and lifestyle modifications, The Fatigue and Fibromyalgia Solution is an exhaustive resource on chronic fatigue and fibromyalgia. Dr. Teitelbaum also presents the simple-to-apply S.H.I.N.E. 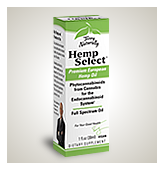 Protocol, addressing Sleep, Hormonal support, Infections, Nutritional support and Exercise. Helping all readers develop an individualized program, Dr. Teitelbaum has created a new lifeline for anyone seeking compassionate, proven approaches for restoring wellness and regaining optimal energy and vitality. Dr. Teitelbaum's integrated treatment program is based on the clinically proven results of his landmark study and on his more than thirty years of experience in working with patients to overcome their illnesses. Using the most current information, Dr. Teitelbaum helps readers evaluate their symptoms and develop an individualized program to eliminate them. 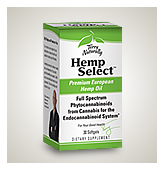 Specific guidelines for diagnosis and care are clearly and concisely presented throughout, along with supporting scientific studies and treatment recommendations that include the latest and best strategies for using prescription and over-the-counter medications, nutritional supplements, alternative therapies, and/or dietary and lifestyle modifications. In addition to providing cutting-edge research, up-to-date scientific information, and practical advice, Dr. Teitelbaum offers the compassionate understanding of one who has himself battled and overcome these disorders. After being diagnosed with chronic fatigue syndrome and fibromyalgia (CFS/FMS) in 1975, Dr. Teitelbaum has spent the last 35+ years researching how to optimize energy production and vitality. The result of those efforts is The Fatigue and Fibromyalgia Solution.